Eastern artists consider that brushstrokes shape the void which lies at the heart of any painting. For the authors of haikus, the crux of their poems lies in what isn’t being said, what lies outside the words. 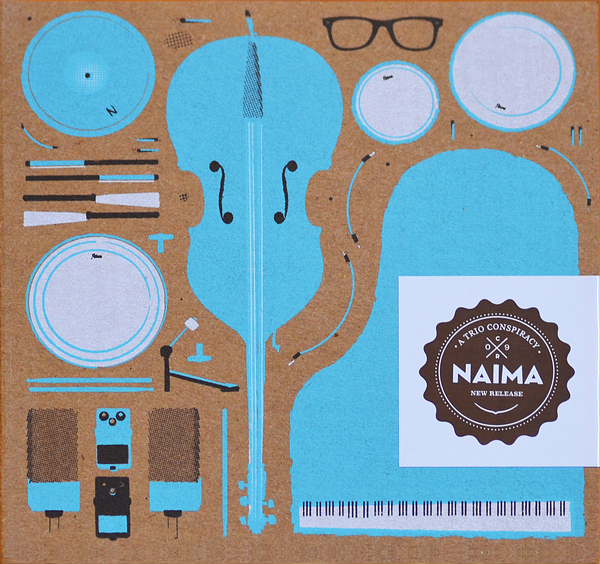 That is how Naima build their music, note by note, like chapters of a life, leaving all labels behind. Naima are Enrique Ruíz (Piano), Luís Torregrosa (Drums) and Oscar Cuchillo (Double bass). “A Trio Conspiracy” is their third album, their first with Clamshell Records.